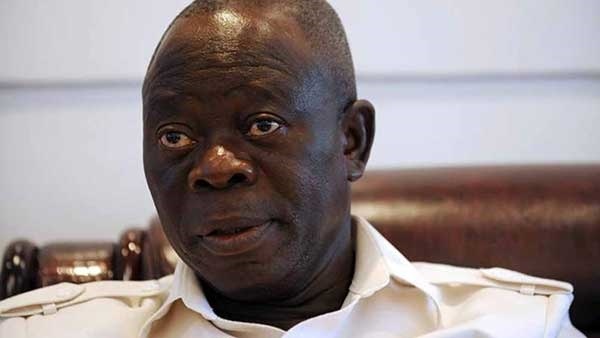 The Coalition of Presidential Aspirants under the All Progressive Congress has called on the National Chairman of the party, Adams Oshiomhole, to resign. They accused the former labour union leader of allegedly creating crisis in the party. The coalition in a statement signed by Mumakai-Unagha and SKC Ogbonnia, said:“The National Chairman does not have the capacity to lead the party to victory come 2019 following the crisis he has created all over the country as soon as he assumed office, therefore he has lost the confidence of All Progressive Progress members. The presidential aspirants accused Oshiomole of creating factions within the party in almost all 36 states of the Federation, including the Federal Capital Territory, leading to a gradual destruction of the party. “Adams Oshiomhole conspired to deny Nigerian youths as well as party members that are desirous of contesting the 2019 general election through the prohibitive hike of the nomination form. Today, APC as a party is sharply divided as the recent primary elections were held on factional bases. We are not sure of the party victory come 2019 due to what we may regard or call man -made crisis created by the chairman,” the group said. The coalition promised that if Oshiomole failed to resign that they shall mobilize APC faithful across the country to besiege the party secretariat.